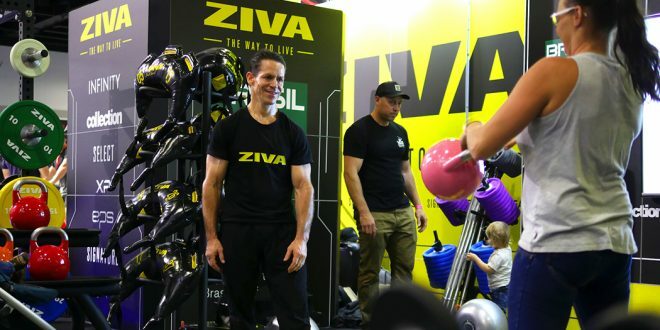 The Fitness Show has returned to Sydney with a bang in April at the newly opened International Convention Centre in Sydney with a 40% increase in visitor numbers compared to the show held in Melbourne 2016. Renamed the Fitness Show with fresh branding and a new floorplan, this year’s Show took on an exciting new shape with more than 270 exhibitors on the Show floor and over 35,000 keen fitness enthusiasts and professionals walking through the doors. The new zones – Strength, Active and Industry – worked well to provide clarity for visitors and featured the biggest line-up of talent and features ever seen in the 22-year history of the event including international bodybuilders like Kai Greene, Calum Von Moger, Jeff Seid and Hidetada Yamagishi, youngest ever UFC Champion and 8 time defending light heavyweight champion Jon Jones and top names in mainstream fitness and nutrition including Commando Steve, Lola Berry, Jessica Sepel and Scott Gooding. New highlights to 2017 included Muscle Beach, providing a constant source of excitement, crowds and talent where open workouts combined with Q&As to create a very successful and interactive Show feature. 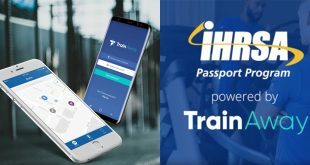 The Education Hub was another new feature aimed at providing those who work within the fitness industry with free educational seminars on topics to help them stay ahead. 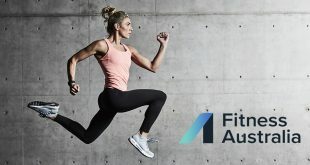 For those looking to get involved and try the latest in group fitness, the Australian Institute of Fitness Active Stage was pumping with a Hip Hop Yoga class with Lola Berry, the all new POUND full-body cardio jam sessions and the latest Les Mills classes. 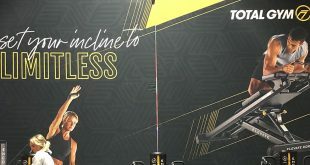 Meanwhile, over at the Technogym stand, Guinness World Record’s were being attempted for the longest distance run on a treadmill over a 24-hour period, to raise $100,000 for Camp Quality, a cancer children charity. Luca Turrini used all his physical and mental reserves to cover a staggering 261.18km (existing Male Solo record is 260.4km). 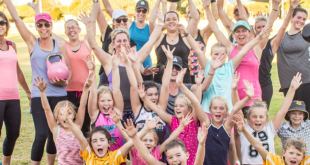 The female team consisting of 12 elite runners from around Australia covered 346.24km (existing record 317km) and the 12-person male team, including three Olympians and ultra distance champions covered 424.63km, which is more than 10 standard marathons. While records are still being officially verified, the team from Outrun Cancer are hopeful they have broken existing Guinness World Records. If you would like to support, donations can still be done at www.outruncancer.com. Fitness Show Director Shaun Krenz said the team is thrilled with the success of the new format. “This is much more than just a visual rebrand – we’ve worked to restructure and refine the show and it’s clear that the model is working. We feel now that we are really well positioned to grow the show even further moving forward,” said Shaun. 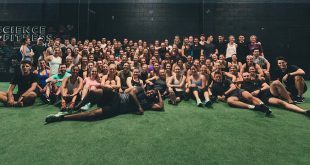 “We had lines hundreds deep to meet special guests, sold out fitness classes & workshops and there was a great buzz on the Show floor over the three days. 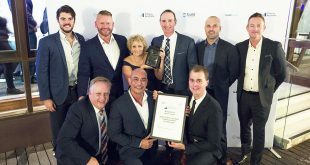 And in 2018, the confirmed date for Sydney is 20 – 22 April, ICC Sydney Darling Harbour. 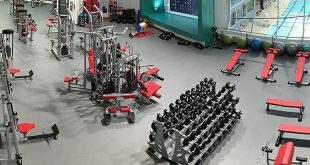 For more information or if you’re interested in exhibiting visit www.fitness-show.com.au and follow Facebook, Twitter and Instagram for updates on features, timetables and talent. If you work in the industry, entry is free if you pre-register online prior to the Show and provide proof of identity on the day.